Former Miss Universe, 42 years old, Sushmita Sen’s love life has always been on the go. Wonder woman, mother of 2, has never been shy of opening up her relationships in past as well. Former Miss Universe, and mother of two, recent appearances with rumoured boy friend and the ‘mystery guy’, model Rohman Shawl at airport has sparked off dating rumours, these bollywood celebrities certainly sizzled Bollywood circles heating up this October. The Main Hoon Na starlet could be seen striking a pose in front of the Taj Mahal in Agra accompanied by her team, friends and her beau. The actress who visited the Taj Mahal recently posted some lovely pictures on her Instagram, filled with love, sunshine and friends. In one of them is Rohman Shawl, seated on a bench next to her, looking at her too. 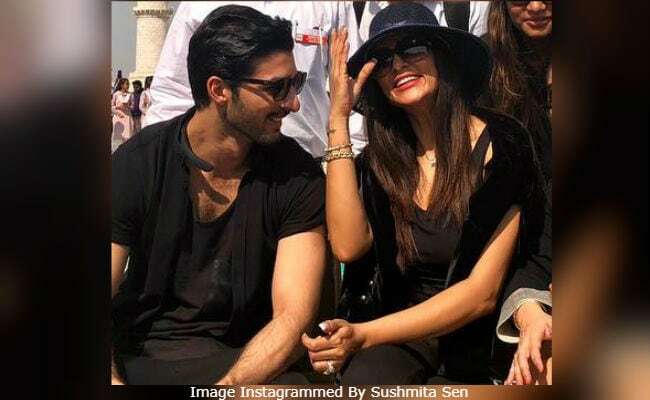 Sushmita sports a black hat and both bollywood celebrities looked happy as ever. 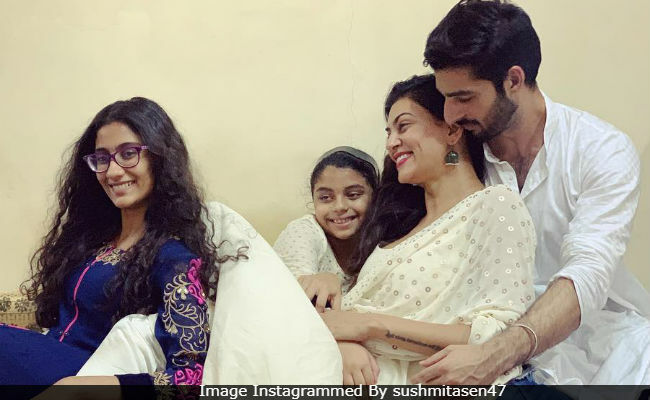 Sushmita Sen recently shared romantic Diwali picture on Instagram with Rohman Shawl and daughters, wearing white silk sari. Former Miss Universe looked gorgeous in white avatar, relaxing in arms of her boyfriend, while the Mr Perfect looking equally indulged in romantic pose. Sush can be seen enjoying a cosy moment with daughter Aliseh, Renee and boyfriend Rohman Shawl. Sushmita captioned the image ‘Dugga Dugga’. While Bollywood celebrities making headlines with wedding bells this year. Sushmita Sen clarifies her marriage plans. She do admit that she is in romantic relationship with 27 year old Model Rohman Shawl, but has put marriage option a side.